Growing up on the southwest side of Chicago, architect Bill Styczynski would take the bus with his mother and siblings to spend time in the city, visiting museums, maybe go to a Cubs game or spend a day along Chicago’s lakefront. He would observe the skyline transform on what seemed like a daily basis as new buildings rose above the previous ones. 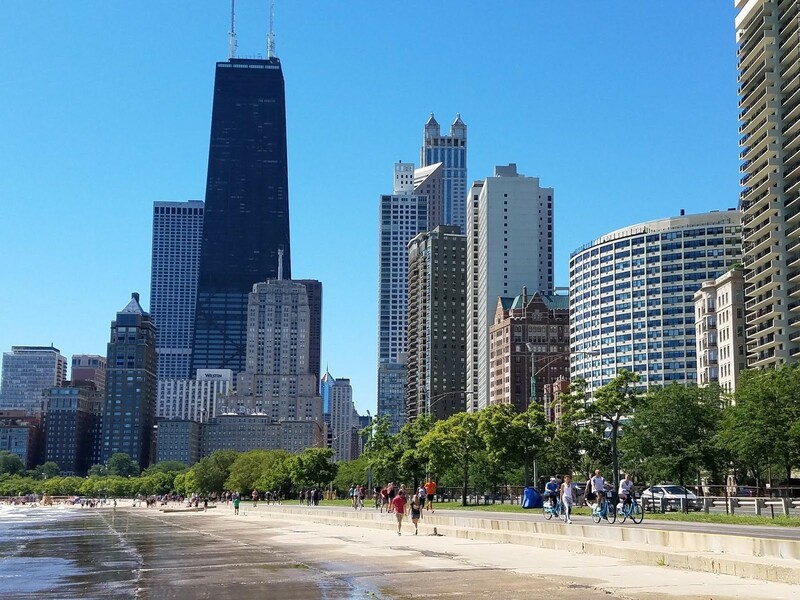 At Oak Street Beach, he observed the surrounding buildings and how the sun would cast shadows across their facades. It was a dynamic display over the course of the day, how the sun moved toward the west and gradually even the beach lay in shadow. That’s how he knew it was time to go home. The course of the sun expresses a sense of motion that is an essential part of Bill’s life, whether in the cycles of his architecture practice, a fastball strike by one of his beloved Cubs pitchers, or of the Formula Vee racecar he drives on weekends. While initially crestfallen with the thought of attending a “commuter school,” the University of Illinois – Chicago, the setting inspired Bill’s intense quest for knowledge – he thirsted to know more about architecture – and it turned out to be the best thing for him because his professors were actually designing signature buildings throughout the Chicago area. Water Tower Place is one that stands out. This was just one of the many experiences on his way to graduating with a degree in architecture and eventually immersing himself in residential and commercial projects. Yet the construction industry has had its share of clouds over the course of Bill’s career. Besides the high rises going up, inflation did, too, in those early years. When it constricted the number of hours Bill could work as an employee for a firm, he and his wife – just married – bought a house and Bill renovated it, including not only the design but also performing all aspects of the construction – the electrical, plumbing and drywall to name a few. This early experience led to the Design+Build approach that he adopted for his own firm, Studio21 in Downers Grove. Bill has headed his own firm since he went out on his own in 1981. Bill’s firm grew as his family did. An early milestone was hiring his first employee. “I didn’t take it lightly,” he says. “I was going to be responsible for not only my own family but also someone else’s.” In the first decade or so, the firm grew to 12 people, dependent on the economy, of course. There would be other recessions, but the opportunity for one project in particular changed everything. One day in the early ‘90s, Bill got a call from the client of a previous small renovation. Although Bill didn’t know his identity at the time of the renovation, having been brought in by the contractor, the client turned out to be Frank Thomas, first baseman for the Chicago White Sox. Thomas was calling Bill. “Do you have time to come over and take a look at this property?” he asked. And with that, Bill had another project during a tough time, the design of his largest residence ever, with a signed contract to bring back to the office Christmas party. The firm now includes five individuals, including three licensed architects; they are a team of self-motivated individuals with a collaborative approach. They’ve won numerous awards over the years and enjoy the interaction with the various clients they served. He also follows the Blackhawks (Chicago’s ice hockey team), including a week-long road trip to Ottawa, Toronto and Montreal, where he finally experienced Habitat 67, a concrete modular stacked housing development and also the Buckminster Fuller-designed geodesic dome, the U.S. Pavilion at Expo 67, which he had seen only in pictures as a kid. These two intriguing structures had an influence on his career path of architecture. Bill had been aware of local architecture from his earliest days and points to Louis Sullivan and Frank Lloyd Wright, both renowned Chicago architects, as major influences, especially Wright’s connections with nature. In Bill’s case, the driver behind it all is … him. On weekends, he drives a Formula Vee racecar in competitive road racing with the Sports Car Club of America. He loves it and ends up working so intensely all week long in order to be able to set aside the weekends for racing. As many joys and frustrations as that yields, he comes back to work on Monday mornings absolutely reinvigorated for his life’s work. 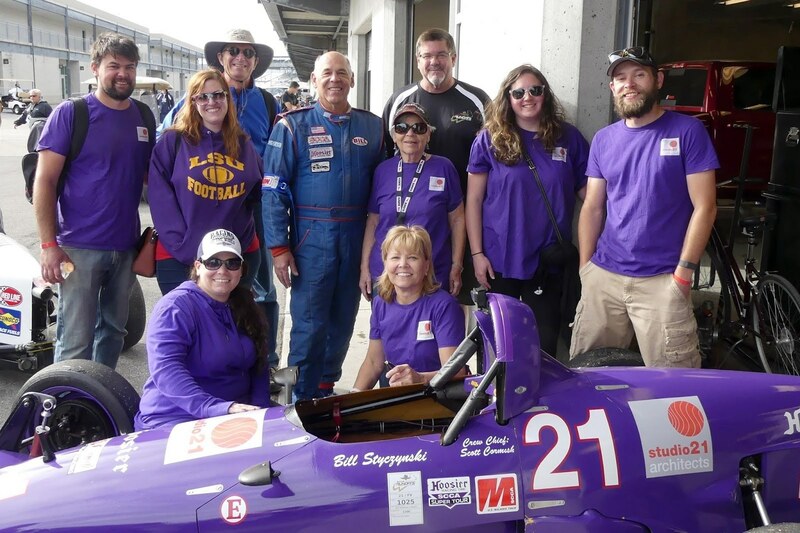 A recent opportunity to race at the Indianapolis Motor Speedway was a dream come true. Bill’s ultimate goal, however, is to help improve people’s lives, whether through the spaces he designs or the workplace environment he provides for his employees. Sun gives way to shadow, and then to sun again.